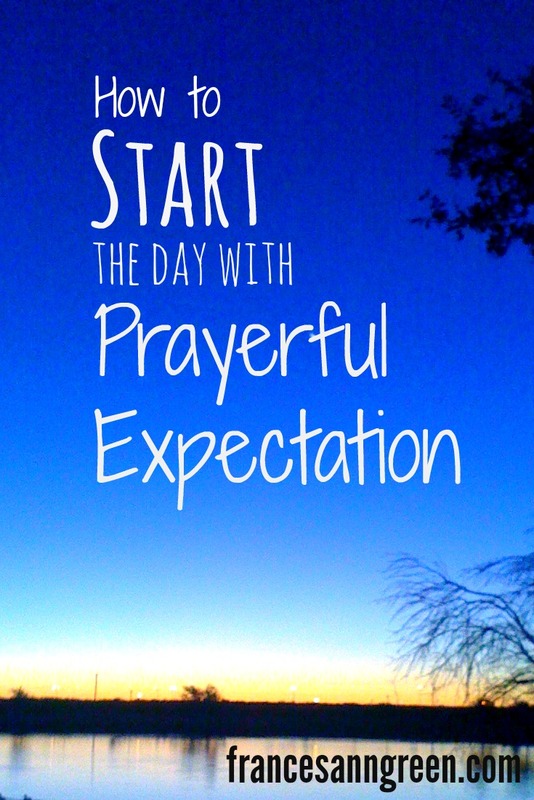 How would you like to begin each morning with a heart of expectation for the Lord? We all know what it’s like to expect something—a visit from family, an important phone call, a delivered package or, even better, a delivered newborn. These expectations change the way we act. We hold the phone closely when we’re expecting a call. We glance out the front window when we expect guests to arrive. We check the front door if we’re waiting for a package. And when a family is expecting a newborn, everyone is on high alert. What if we began each day with this same heart of expectation for the Lord? How would it change your day? In my own life, I can tell that when I expect God to show up, I notice it when he does. It transforms my prayer requests from a list of worries to a posture of expectation. Instead of my morning prayer ending with my requests, it opens my heart to prayerful expectation. The prayer is just the beginning of paying attention to the Lord throughout the rest of the day. I wait for him in expectation just like I wait for the expected guest to arrive. I’m more likely to notice his nudge during a conversation, a change of heart, or a burden that someone else is carrying. When I wait for him in expectation, I see more clearly the path he leads me on. Lately I begin my mornings with a prayer adapted from Psalm 5. It was often used as a morning prayer in the Jewish tradition, so I’ve adapted it for my own morning prayers. This Psalm helps me lift my requests to the Lord and invite him to be part of my day. Then I wait in expectation. Try beginning your days with this prayer. And let’s wait in expectation together. so I pray to you. For you are my fortress and refuge. In reverence I bow down to you. For to you alone I pray. I wait in expectation for you. I wait for you in expectation. I wait for you to lead me in your righteousness. I will pay attention to the straight path you show me. so we will rejoice in you today. with a shield of your favor. I give you this day. You’re welcome. I’m glad you found it encouraging. I needed to be reminded of this! Thanks sweet sister! Wow! This is awesome!thank you for reminding me to wait expectantly for God. I love that you use scripture as your basis for prayer. I started reading and praying through the Psalms this new year and I love how God speaks to me and helps me to see how I can adapt it to my life. Blessings to you!